Copyright: Copyright remains with the owner at all times. 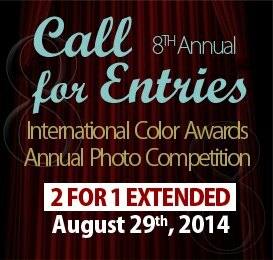 Submitted images may be used to promote the awards. The photographer’s name will always be credited with an image. Image requirements: RGB mode; 72ppi resolution; 1024 pixels longest side; JPEG format at Maximum quality. No embedded marks, logos, names or borders. Digitally manipulated images are accepted.